CENTURY 21 Marquis is built of a team of extraordinary Agents achieving exceptional results in the business of fulfilling the dream of homeownership. Founded on a commitment to professionalism, customer service remains the core of our business philosophy today. By staying “Focused on the SUCCESS of Your Move”, we help our clients achieve maximum returns on their real estate investments. Our mission is to provide brokerage service in a manner that distinguishes us as the benchmark for excellence, and the undisputed market leader in the Bay Area. As local area experts with knowledge of the communities, staying current with the ever-changing market conditions allow our clients to make the most informed and educated decision when it comes to buying or selling real estate. To offer a quality business transaction of trust, responsibility and professionalism. To be a real estate resource for our clients and business associates. To listen to the concerns of our clients and strive for excellence. To be affiliated with career-minded individuals who are deeply committed to delivering superior service and achieving exceptionally high productivity and results. To consistently deliver professional service and guidance. To enjoy each day and be thankful for our wonderful clients, family, agents and friends. To ultimately keep our clients best interest in mind and always do the right thing. 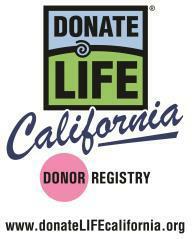 Century 21 Marquis is an affiliate of the CA Transplant Donor Network to save and improve lives through organ and tissue donation for transplantation. Together, we raise awareness and inspire others to save and heal lives.